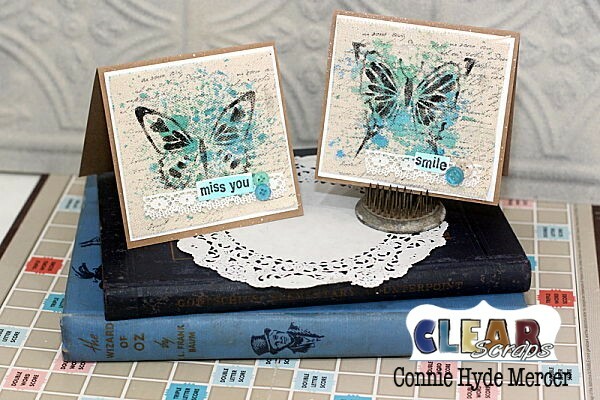 crafty goodies: Card set created with Clear Scraps! very pretty. a work of art. 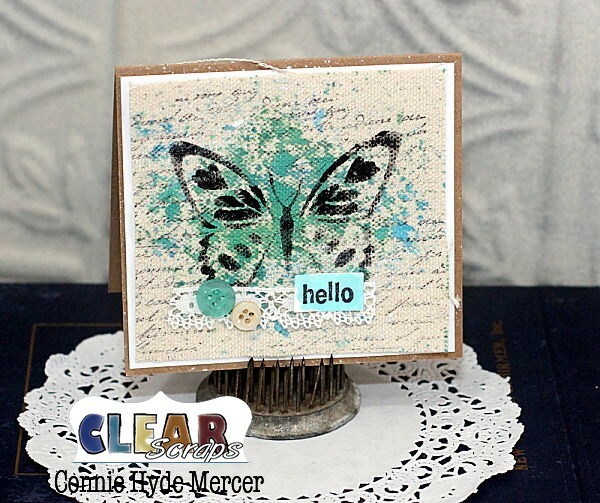 I love the paint spatters, colors and the butterflies. I also like the simplicity of the sentiments. Ooo! The canvas is so pretty on a card! So pretty and vintage. I love the softness.